You know that the ability to lead different and diverse people to come together and blend their talents is key to achieving breakthrough results. 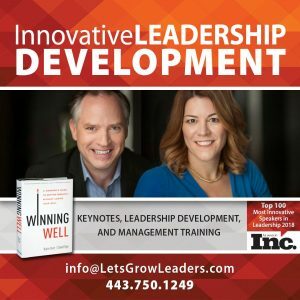 But if you’re like most leaders we work with, we imagine you’re still a bit caught off guard and surprised from time to time about just how different (and frustrating) these differences can be. Learning to understand our own differences and how they impact those we are seeking to lead has been a critical part of our leadership journey. Early in her career, Karin, a high-energy extrovert had a leadership mentor explain that her enthusiasm for her own ideas sometimes made teammates reluctant to speak up and share their concerns. She had to learn to slow down and ask strategic questions to give people time to process and catch up with her thinking. The struggle is real. In our work as business and life partners, it often amazes us at how differently we interpret the same situation—and we teach this stuff! You may know it intellectually, but do people’s differences play a core role in your leadership? 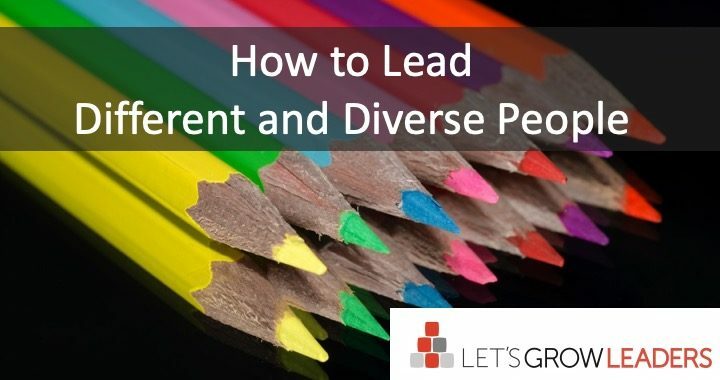 Do you lead different and diverse people differently? People have different motivations than you. They process information differently than you do. Some want to compete, some want to get along. Some want to talk, some want you to leave them alone to do their work. They have more or less urgency than you…more or less attention to detail…more or less focus on people or tasks or process or outcomes…they have different backgrounds. Something you find easy, they may have struggled with all their life just to get by. And those are just a few of the many, many ways people are different. Your success as a leader depends on your ability to lead different and diverse people – to bring all these differences together to achieve results. Unfortunately, people’s differences trip up many leaders. Over the years, we’ve seen so many leaders (and we’ve done it too) become exasperated when a team member doesn’t do what they expect. When you dig deeper, you find out that the leader expected the team member would act just like the leader would in the same situation. Mary gives the team the freedom she craves from her own manager, but it confuses her team full of people who prefer more daily attention, and they feel like Mary doesn’t care about them. Joe methodically adds the new project his manager gave him to the bottom of his to-do list. But he frustrates his manager who thought Joe would intuitively understand that this project trumps everything and needs to be done right away. Mike comes to a staff meeting prepared to take part, arrives early, sits in front, and his teammate, Jill, thinks he’s angry because he didn’t talk engage or talk with anyone while the meeting was getting ready to start. Laura, a database manager, works long hours to ensure the data is accurate and then quits when the Kathy, her team leader, ignores her data in favor of political relationships. At their core, all these relationship breakdowns happened because the leader didn’t understand that people are different. Effective leaders understand that people are different and lead to draw the best out of each person. Here are a few solutions for the challenges presented by our diversity. Familiarize yourself with the basics of human diversity. There are many tools to help you do this. The specific tool is not as important as the fundamental understanding that people are different and that these differences can all add value. Value the differences. No one wants to be tolerated. Every person on your team needs to be valued for the meaningful contribution they make. Intentionally seek out different perspectives, backgrounds, experiences, and ways of thinking. Get all the feedback you need to make the best decisions. Give people what they need to be effective. This doesn’t mean that you enable poor performance. Rather, learn how your people are wired, what energizes them, and meet them where they are to draw greatness from them. Provide clarity. Mind the MIT (the Most Important Thing), clarify the decision, who owns the decision, and the specific behaviors that lead to success. Clarify the relationships and interactions different roles will play as everyone works together. Use the Expectations Matrix to align the team’s expectations of one another – and of you. The clearer you can be, the more you pull everyone’s diverse talents and strengths together to achieve results. Remember, leadership is a relationship. The more you recognize, appreciate, and bring different strengths together, the more you’ll achieve. Leave us a comment and share your best example of a leader who brilliantly showed how to lead different and diverse people. Why Have We Stopped Talking About Diversity At Work? I’ll never forget attending a leadership development program at a fancy hotel in the early 1990s. The main topic was diversity. John, my well-dressed, articulate, black peer, came back from the coffee break with tears in his eyes, saying he was standing outside getting some fresh air, when some guy handed him his keys thinking he was the valet. It’s 20 years later. I’ve gotten a lot of fresh air just outside of hotel lobbies. We clearly needed that diversity program. John’s experience was raw and real. Talking about unconscious bias wasn’t comfortable, but I know it shaped my perspective as a leader and as a human being. Perhaps you remember the “diversity” era. If I were running LGL in the 1990s, I’m quite sure “diversity” would be all over my website. I just did a search. “Diversity” is nowhere to be found. Sure, we have the occasional debate about where our transgender colleague should go to the bathroom, but diversity has stopped being top on our list of people issues. Of course, it’s better. Thank goodness. Many companies turned those strategies into polices. Blatant discrimination is less rampant. Ratios continue to improve. It’s better, no doubt. At the same time, in Baltimore where I live, the city imploded this year with racial riots over injustice. That can’t be happening on the outside of our businesses without impacting our insides. These issues are touching humans inside all of our organizations. No one forgets their concern about how black lives matter just because they’re driving to work… and yet sometimes this conversation gets stifled when folks pull into your parking lot. Am I advocating for a return to the Diversity strategy rhetoric? No. Do I want you to hire me to help you build your diversity strategy? No. Do I think we need to continue to have real dialogue about diversity, inclusion, and the mess we’re still in as a Nation? Yes. At work? Yes. Even if it’s uncomfortable? Yes, yes. Uncomfortable leads to progress. I encourage each one of us to consider how we can best re-open the conversation. 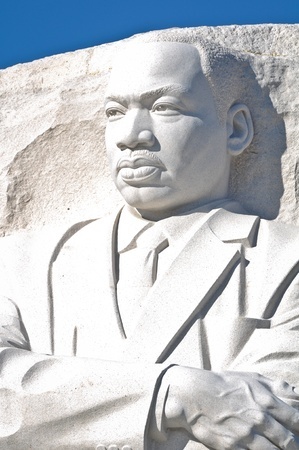 “All progress is precarious, and the solution of one problem brings us face to face with another problem.” -Martin Luther King, Jr. So here we are. It’s up to us. How will we continue the conversation? I’ve always found great joy in singing, and was voted “most likely to spontaneously burst into song” in high school. From grade school through college, I sang in every choir available, always as an alto. My voice was so low, in a pinch, I would help out the tenors. Each time I had a new director, I would announce, “I’m an alto, I don’t sing above a third space C. I’m solid with a tight harmony, so no one argued. To access the podcast, click on the title above or go to: Web Talk Radio. Delighted to chat with Al Gonzalez on “Leading Beyond The Status Quo”. We explore the intersection of inclusion and employee engagement. Fun to share stories. Did you know that 71% of all workers in the US are disengaged? While many diversity efforts are providing visual evidence of success, the number of disengaged employees in the workplace remains at a very high level. Why is this Because we have a lot of work to do in the area of inclusion. 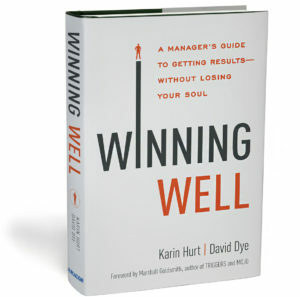 This week we are joined by Karin Hurt, an expert in the area of employee engagement and author of the award winning blog Let’s Grow Leaders. Join us as we continue our exploration of Inclusion by exploring its critical relationship and relevance to Employee Engagement. Are You Developing Your Team's Mutant Powers? In some organizations its standard practice to “groom” leaders to adapt to corporate norms. We teach future leaders to speak so they can be heard. We encourage rising stars to capture their ideas just right in the perfect Powerpoint template. We teach them when, where, and with whom to share their ideas. I work hard to develop these skills on my team (and in fact am writing about how to “speak to be heard” tomorrow). The corporate world does not have much appetite for “mutant” gifts. Is there a cost to such conformity? Those with more quirky personalities and styles seldom rise to the top in favor of those who look better in a gray suit. 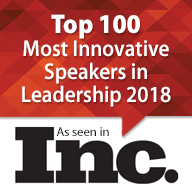 Does all the time spent on fitting in and honing the standard leadership skills, distract us from developing the unique and more edgy gifts that could lead to creative breakthroughs? This weekend my son, Sebastian approached me excitedly, “Mom, you’ve got to see this movie. I think it has something to do with leadership.” My mind quickly raced through all the possible movies he could be considering. I was excited to spend that brisk Saturday afternoon snuggled up watching a movie and talking about leadership. And then he revealed his selection.“X-Men: First Class.” I groaned, but settled in. 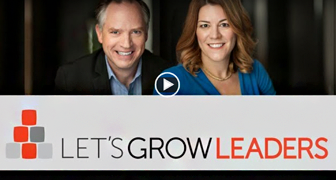 Sometimes you have to meet growing leaders where they are. It’s not a “must see,” so if you missed it, I’ll save you some time. The world is full of interesting “genetic mutants” with amazing, yet underdeveloped powers (telepathy, teleportation, shape shifting). These mutants work to disguise their mutant powers, working to fit in, to “feel normal.” When under stress, the mutant powers overtake their ability to control them and they come out in awkward in dangerous ways. Until, one day, they find each other and a fellow mutant serves as their mentor helping them to not only to reveal and embrace their gifts, but to refine them. What unique gifts are hidden on your team? Do these “mutant” gifts come out in clumsy ways? What if you could help them to refine these special powers? What are we missing by honing the more commonly accepted talents? How much of own developmental energy is spent on “looking normal” versus becoming exceptional? Are You Developing Your Team’s Mutant Powers? If you are like most leaders, you are concerned about your image and your brand. You want to show up strong, confident, and worthy of being followed. But what happens when you’re not feeling strong? What happens when life throws you curve balls to juggle on top of your leadership? What’s the risk of disclosure? What’s the risk of keeping things hidden? In full disclosure, I share a story of disclosure and how keeping things buried can backfire or not. I had just been promoted to my first big leadership position in HR, concurrent with a significant merger. All the players were new, I had a new boss, a new team, and new senior leaders to impress. Because life sometimes works out messy, I also was going through a divorce and trying to pick up the pieces in a new life, in a new home, as a single mom. The job required substantial travel to Manhattan and I lived in Baltimore. One of first tasks in my new role was to build a Diversity strategy. We gathered a fantastic team representing each business unit, and were making great progress creating strategy and programs. I felt great about the relationship I had with this team and the work we were doing was vital. The truth is, I had been very deliberate about keeping that hidden. Even my new boss did not know what I was going through. I had heard enough discussion about the concept of “single moms” needing extra care and support so they could come to work on time and not call out sick when their kids were sick. I thought, I’m not like that. I’m a different kind of single mom, I’m an executive. I’d better just keep all this to myself. Oh really? Clearly, my lack of disclosure had backfired. Footnote: Althought that was a lifetime ago, and I am now happily married with 2 children, I learned a great deal from that experience. I now chose to lead with more transparency. What’s the right amount of disclosure? What’s the right balance of protecting your brand and being authentic. What disclosure is good exposure? This week, I address the issue of trust and authenticity from various angles.. I hope you will tune in to join the conversation.